Bocchino Audio power plugs are manufactured using the best available materials for the absolute best performance attainable from mains power plugs used in Audio systems. Utilising Gold on Silver electroplated Pure Copper for the male plugs and Gold on Silver electroplate on the Zirconium Copper for the IEC plugs Bocchino Audio Power Plugs enable the maximum performance possible from any power cord wire inserted within. Unlike current power plugs on the market to day, Bocchino Audio power plugs are all discretely machined from both their polymer and metal materials. None of the components are injection molded; all are precisely machined to precise tolerances and all fit together with elegant precision. 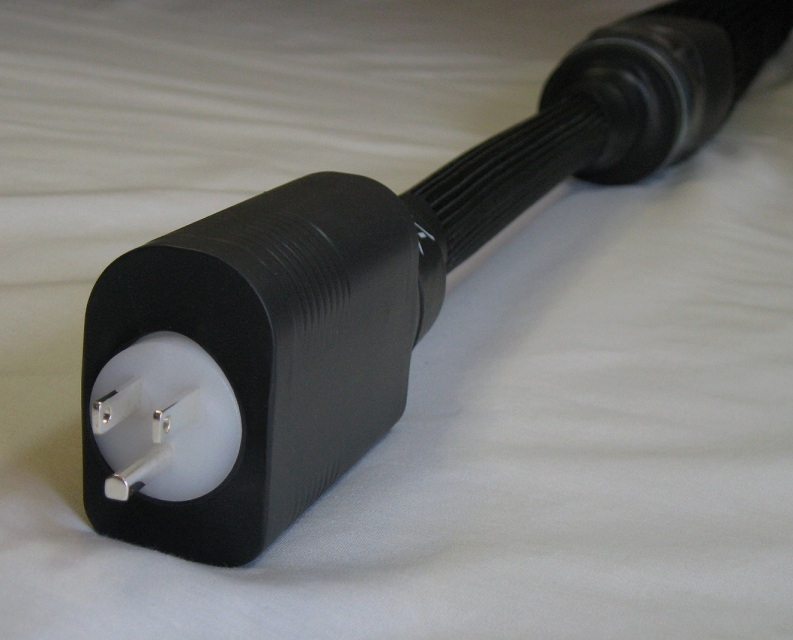 Each tong of all the power plugs utilises a cylinder of depth 30mm and capable of taking a power wire up to 1 awg ( 6.0mm+ ) each. In turn all wires are secured firmly in place with twin 316SS M6 set screws enabling full surface contact of the inserted wire with the tong internals. The long contact cylinder delivers the largest contact surface area for any power wire compared to any other power plug maximising signal transfer efficiency beyond anything else available today. Polymer used is UHMW/PE ( Ultra High Molecular Weight Polyethylene ) of greater than 7 000 000 atomic mass units long polymer chains. UHMW/PE is second only to Teflon in dielectric insulation and far stronger. 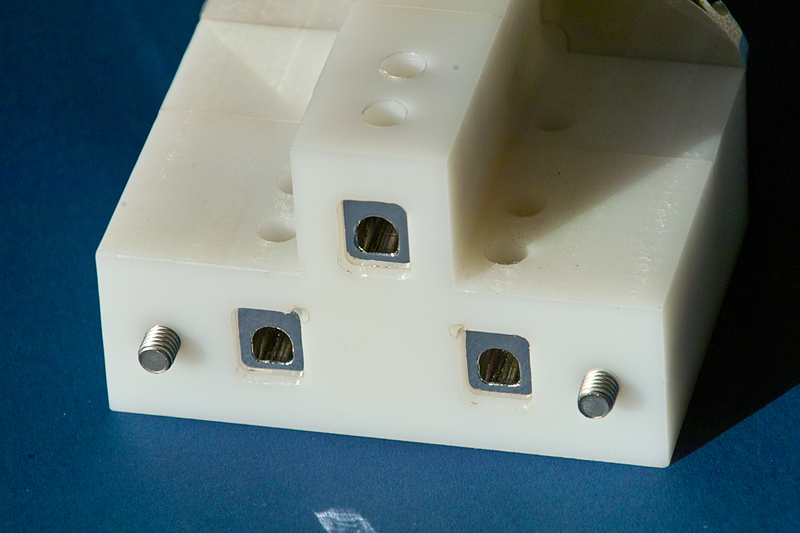 The outer glove of the power plugs enables securing the power cord body with 4 x M10 Nylon stay set screws. The most secure grip on the power cable jacket of any power plug anywhere. both PEEK and Celazole offer their characteristics at a price. All Bocchino Audio power plugs: ( 10 /15/20 Amp ) are comfortable passing very much higher currents than their rating, when used in an Audio system with high demand for electrical current from high power appliances and especially power amplifiers and similar power hungry appliances. The plugs perform effortlessly permitting huge current draw from the mains enabling amplifiers and similar appliances to perform without any struggle. Benefits being that high current demand required to deliver realistic energy levels for intense transients in a recording enables a more than 'being there' experience with the source material. Drums thwack! Orchestral crescendos are enabled a better control by the amplifier because its source of power is not throttled by inferior metallurgy or design construction. Similarly as with the male plugs. For the female plugs, a new approach to tong design has resulted in the contact elements biasing the face of the inserted tong against a full length contact as opposed to a pinched contact as is the case with all other similar plugs. 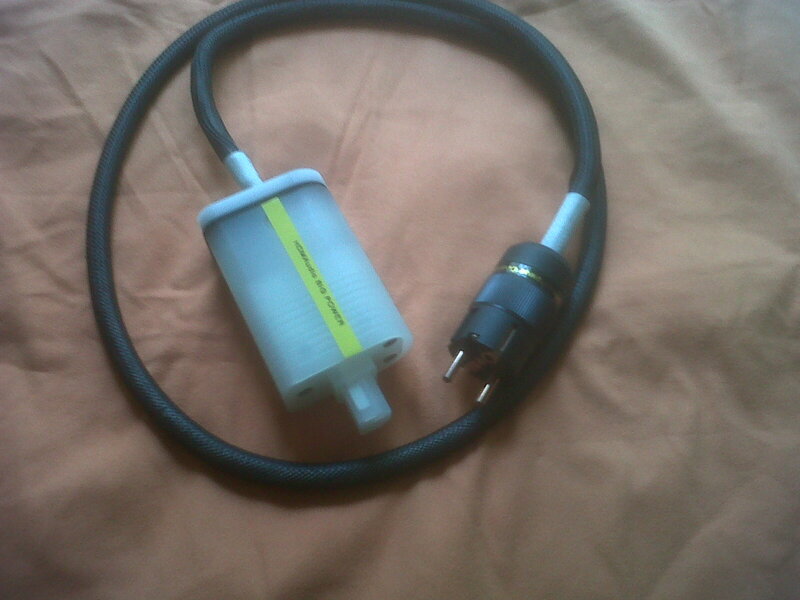 This further improves the efficiency of power transfer between the power cord and the appliance chassis socket. The metallurgy of the Pure Copper of the male plugs is C10100 which is > 99.996% Pure Copper. Electrical conductivity of C10100 is > 101% IACS. For the Zirconium Copper used for the female plugs the metallurgy is Cu/Ag>99.5% with Zr making the balance. Zirconium Copper ( C15000 ). Zirconium Copper has just the correct elasticity ( or springiness ) to enable the female tongs to be inserted into their mating chassis sockets without fatigue while enabling a tenacious contact to be maintained with the mated to socket pins. Zirconium Copper temper used enables an electrical conductivity of >80.5% IACS. This makes the electrical conductivity of all Bocchino Audio female power plugs better than any competitor today. All Bocchino Audio power plugs are first electroplated with over 11+ microns of silver ( Nominally 35 microns ) and then with either Gold; Platinum, Palladium or Rhodium; depending upon client requirement. Gold is the better electrical conductor of the noble metals listed and does not corrode. The other noble metals exhibit lower electrical conductivity but each imparts a different characteristic to the power signal and the final sound. Along with the best metallurgy and superior polymer construction the Bocchino Audio power plugs are the most efficient platform for delivery of electrical power from mains power to their dedicated appliance available today and the best IEC chassis sockets ever made. All clients who use the Bocchino Audio Power Plugs are very satisfied with the build and performance of the plugs. The Plugs have been mainly directed at High End Audio cabling; Other applications are for scientific, medical and research institute instrumentation and appliances. Many of these appliances such as MRI machines utilise very inferior power plugs. Swapping the Plugs to Bocchino Audio Plugs will improve the sensitivity of such instrumentation and a host of all other electronics that utilise mains power as their power source. Bocchino Audio does not make a power chord. All Bocchino Audio plugs are designed and manufactured by Bocchino Audio. Insulator Polymer is UHMW/PE while the pins in the Baluga series plugs are Pure Copper the pins in the SantaMaria and SantaLucia plugs are Zirconium Copper; All heavily silver plated. 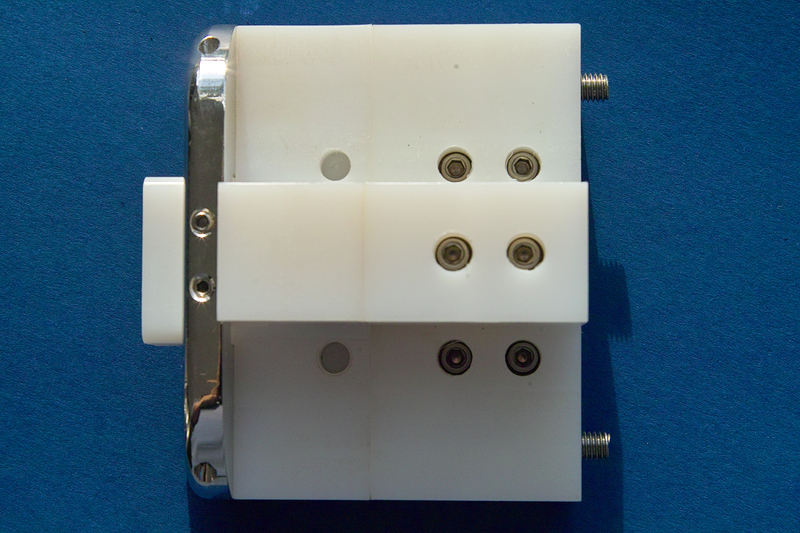 Below is a series of photos of the Diamond Power Chord by ElrodPowerSystems. Baluga4 20 Amp American Plug. Baluga3: 10 Amp Australian // NZ // China // Argentina Plug. Mariner10 and Mariner20 Chassis socket 10/16 Amp and 16/20 Amp respectively. 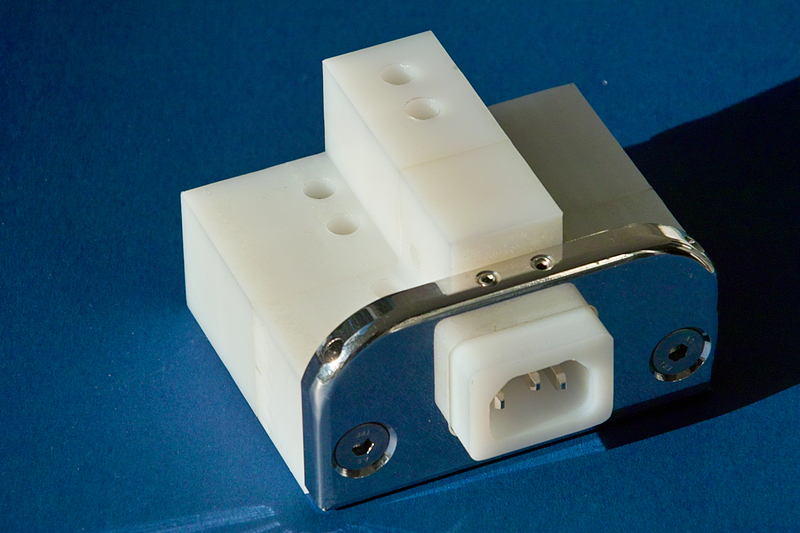 All Baluga plugs will accommodate wire thickness up to 3 AWG or 30 square millimeters square. All Bocchino Audio Plugs and chassis sockets are supplied to oem's only. Available From David Elrod CEO Elrod Power Systems in the US. its praises highly! Comments being that The Mariner10 delivers phenomenal improvements in Bass Energy and articulation control are the first noticed improvements; immediately followed by improvement in Dynamic Range, very very black background and solid holographic imaging. But best of all: Effortless enjoyment of the musical experience. Mariner10 Tongs are made from Pure Copper C10100 99.996% with thick silver electroplate. The mating of any power plug into the Mariner10 is the firmest in the industry. Nothing comes close! But! The Mariner10 is a large component and much room is needed within its working appliance to accommodate its footprint; Once installed the Mariner10 will live to the life of the appliance and some. When supplied the Mariner10 includes Neoprene gaskets or customised UHMW/PE bracket to ensure the exterior of the Mariner10 sits flush with its appliance surface. Polymer // Insulator used is UHMW/PE long molecular chain polymer with atomic weight being > 7 000 000m amu; water is 18! UHMW/PE is second only to Teflon in dielectric value but significantly stronger. It bests all other polymers for dielectric constant properties. No colouring dies are used in the Mariner10 UHMW/PE. 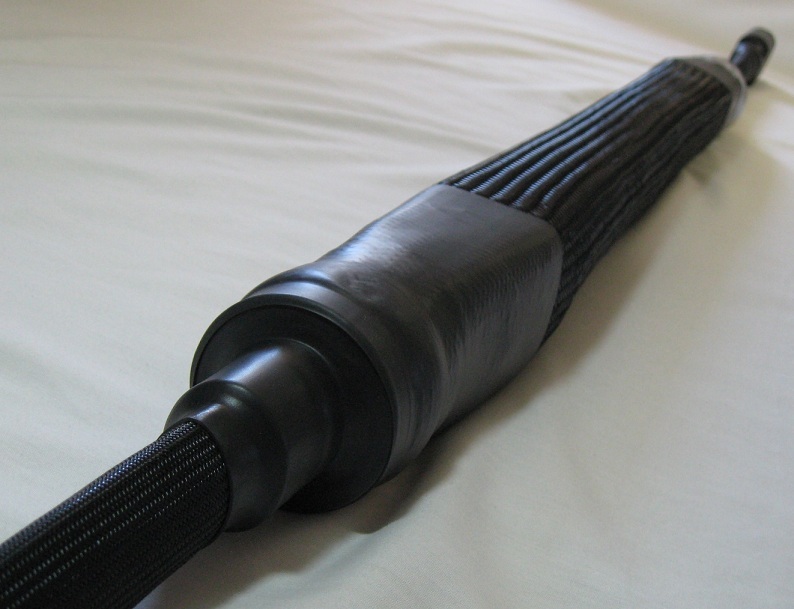 The UHMW/PE used is virgin material, unadulterated by any treatment and true to the full characteristics of the polymer. Click here for properties! 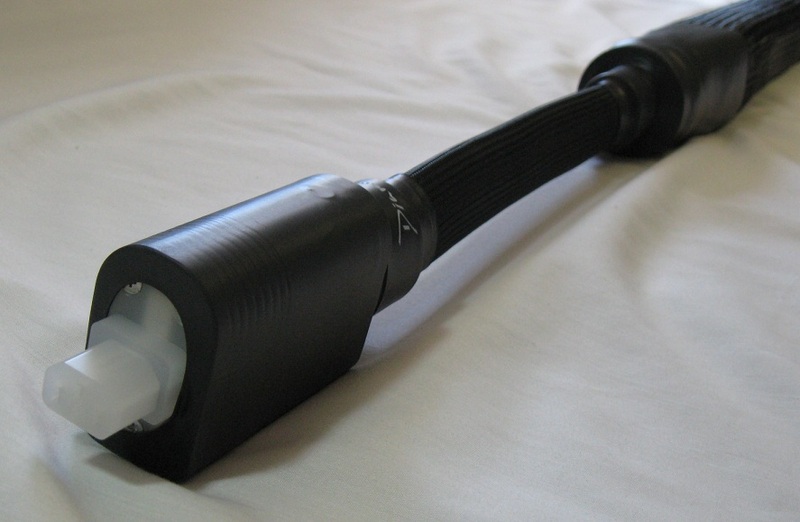 Mariner10 insulator is also available in PEEK. Price on inquiry. Combining Baluga power plugs and the SantaMaria 10/16/20 Amp IEC produces the absolute best in power delivery to the audio appliance; Clients who have used both for their power amplifier and source describe the sound as the best ever. Superlatives aside the reason for the excellent efficiency is the construction, metallurgy and the insulation materials used to house that metallurgy. The Mariner10 uses the best materials in both conductivity and insulation compared to any other IEC on the market today. 75mm deep x 95mm wide x 60mm high. 9mm deep x 95mm wide x 48mm high. All Mariner10 and Mariner20 sockets will accommodate wire thickness up to 3 AWG or 30 square millimeters square. OEM'S SEEKING TO USE BOCCHINO AUDIO POWER PLUGS AND SOCKETS PLEASE CLICK THE LETTER BOX FOR MORE INFORMATION ON PRICING AND AVAILABILITY. I received all my cables from customers who were awaiting your connectors, and have finished re-terminating enough of them to have them on every one of my components. I am in utter amazement at what I am hearing. The room is not optimized, the speakers are my second pair, not my best, but it is so real and lifelike with imaging coming from everywhere. It just feels like a window into the recording got opened, and it is so relaxing and enjoyable to listen to.